I was hoping to get the morning chores done before the storm moved in but it was much faster than I was. 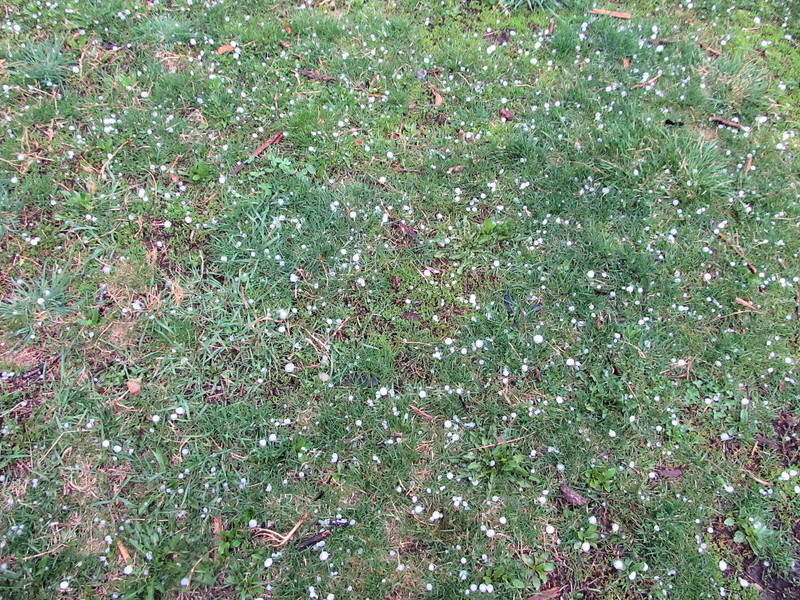 The rain was hard and then we could hear the popping of the hail on the roof, so I waited it out in the house. I found Hamburger calmly chewing his cud under the overhang behind the barn by the birthing stalls. Dolly Llama could have come on in the barn with the goats but was wet so I figure he stayed out in front of the lean-to like he always does. It rained on me a few times before I finished but no more hail.